Is this programme the right one for me? I want to travel in Europe without a visa. I want to make a safe investment in a Greek real estate. I may live in a country of the European Union. I need an easy and fast process. I may want to upgrade to citizenship. If you agree with most of the statements — Greek Golden Visa Programme is the right for you. Greece offers a unique blend of beautiful Mediterranean landscape, remarkable history and culture and people of great hospitality, being fierce guardians of their tradition. Greece is synonymous with natural beauty. You find crystal clear blue waters, hidden picturesque islands; You can enjoy the sun on white sandy beaches, climb hills with pine trees and olive groves. 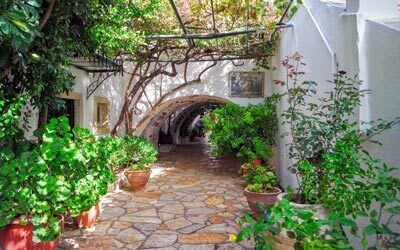 Although Greek cities are modern, you can also visit traditional villages with stone houses in the mainland and beautiful white-blue cottages in the islands. Greece has something to offer for every taste and is waiting for you to discover it. Greece is located at the crossroads of three continents, Europe, Asia and Africa, allowing one to reach within one hour flight any of these continents. You will find no difficulty to communicate in English with the Greeks. Ask for directions, shop or get information in English will be very easy everywhere in the country. The Greece Golden Visa is granted by the Immigration and Social Integration Code, 2014 which has introduced provisions to facilitate the stay of non-EU nationals in Greece. By this law, residence permits could be granted to third-country nationals and their family members who proceed to purchase property in Greece valued at a minimum of 250,000 euro. An investment in a Greek property of 250,000 euro provides you permanent residency in Greece immediately. As Greece is the member of the European Union, you will be an EU resident. Greece is part of the Schengen zone of Europe allowing you to move freely. Your spouse, your minor and dependent children up to 21. In addition your and your spouse's parents can also be included. You may get your permanent residence permit within two months. You are not required to live in Greece prior or during the application, or even after residency has been granted. Thanks to the recently voted amendments of Citizenship Code, the years fulfilled by Golden visa are taken into consideration. After 7 years, you can apply for the Greek passport. How to obtain permanent residency in Greece? Investment in a plot of land - the cumulative value of the land purchase and the contract with the construction company must be at least 250,000 euro. We work with the best Greek lawyers and real estate developers to find a good value property for your investment and to make it sure that you get the residence permit. Does my family also get residency visa? Have a clear criminal record obtained in your country of residence. Be a person not sanctioned by the EU. You will get your visa within 2 months from the submission of your application. Nowadays in Greece, the Greek real estate prices are rock-bottom. Property prices have been dropped up to 50% from 2008. That means you can make a good deal with a modest capital investment to get a European permanent residency. 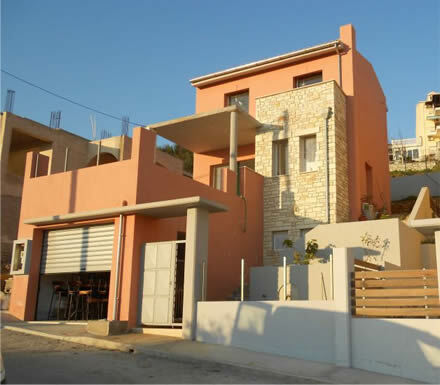 We offer you a wide variety of new and second-hand Greek properties which also makes you eligible to acquire a Greek residency visa. The rapidly growing village of Perdika in western Greece is an ideal holiday destination for those seeking tranquility and relaxation in an environment that combines green mountains and blue sea. It is easily accessible by Aktion Airport or Corfu and just 15 minutes from the junction of the Egnatia highway, while the distance from the capital of the prefecture, Igoumenitsa, is 30 kilometers. Perdika is the largest and most lively village of Thesprotia and many Greeks and foreigners have chosen it as a vacation destination or permanent home. The plan of the complex was based on criteria of ideal orientation, view, autonomy and split volumes, plus independent access to each house. Materials such as wood, stone, architectural concrete, Italian style tiles and marble have been chosen to give the cottages their special character. The house on offer covers an area of 84m2 on an autonomous plot of 178 m2, with additional spaces of 30m2 and verandas of 30m2. It has its own independent entrance and is spread on three levels. The first level has a parking space, laundry room and boiler room. On the second level, which can be reached via an outside marble staircase, there is a living room with fireplace, kitchen, dining room and WC. The living room opens to a beautiful terrace with breathtaking views. The yard features a barbecue area which can easily be reached from the kitchen. On the third level there are two bedrooms with wooden beam ceilings, each with their own verandas and a shared bathroom. The house is located in the "Chantzis Estate" complex which consists of luxury villa residences and apartments, built in a plot of 60.000 Square meters total area. The buildings are developed with a traditional architectural style to blend with the beach-front and the stunning natural beauty. The complex has been awarded the luxury lifestyle award of Best Development 2010 in Greece from the world known magazine “OVERSEAS LIVING”. The magazine presents properties all over the world and fascinating destinations for investors. The main house consists of 60m² ground floor with reception, including living room area with dining area, open plan fully-equipped kitchen, two bedrooms with wardrobe, bathroom with shower and two large verandas in both sides of the apartment. 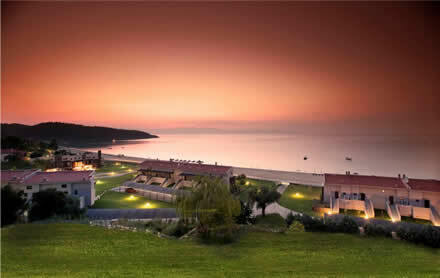 Triton Sea View is located in the coastal settlement of Kavros, a holiday resort with a magnificent, long sandy beach. Triton Sea View was named after the ancient Greek Sea God Triton, the messen-ger of gods to the seas. Triton was depicted as a Merman (male mermaid) blowing a horn to calm the waves on his father Poseidon’s orders. 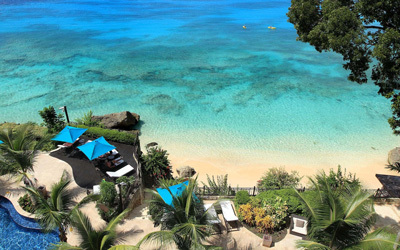 Just as Triton calmed the waves, so Triton Sea View offers calm and tranquility to its residents. The sea breeze and view, the mountains and valleys and, above all, the modernly designed homes, are the horn which sooths everyone’s soul at the Triton Sea View. Triton Sea View is situated in a location with spectacular views to the sea, mountains and green fields of Northern Crete, only 700 meters away from the longest sandy beach on the island. Tritons’ modern design with summer hues create a peaceful atmosphere, ideal for relaxation. Stone pathways in the project, in addition to the green areas with water features, make it a unique place to stay.